When I got home from work last night I found the cutest little blue envelope on my doormat, I didn't have a clue who it could be from, as my Birthday is ages away and I wasn't expecting anything in particular. To my absolute delight it was from the Baking Mad team who I worked with filming my episode of Baking Mad with Eric Lanlard. It was such a sweet gesture I just had to share it with you all. 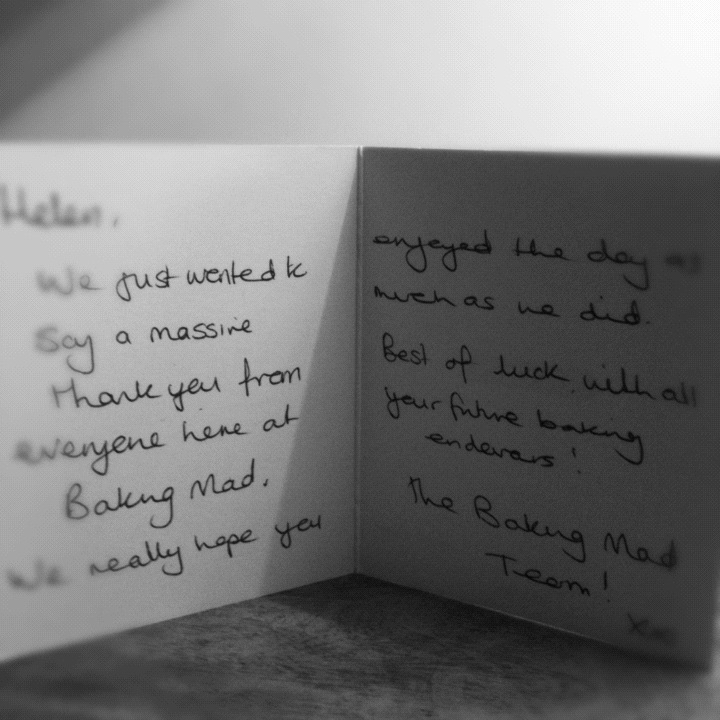 I also want to say a HUGE thank you to the Baking Mad team for the wonderful experience and making my day really fun and memorable. A special thank you goes out to Jenny at Infinite Media for just being really lovely both via email and on the day of filming. I literally cannot wait for my episode to be on TV and to share the whole day with you all. The series starts on the 5th of March on Channel 4 during the day. I am not sure when exactly my episode will air, but as soon as I know I will let you know. Promise. 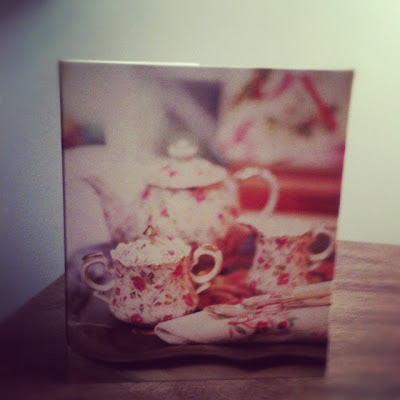 Thank you Helen, I can't wait to see it either! How exciting. I can't wait to see it.